These are the Goddess Barefoot Sandals from Gleeful Things. 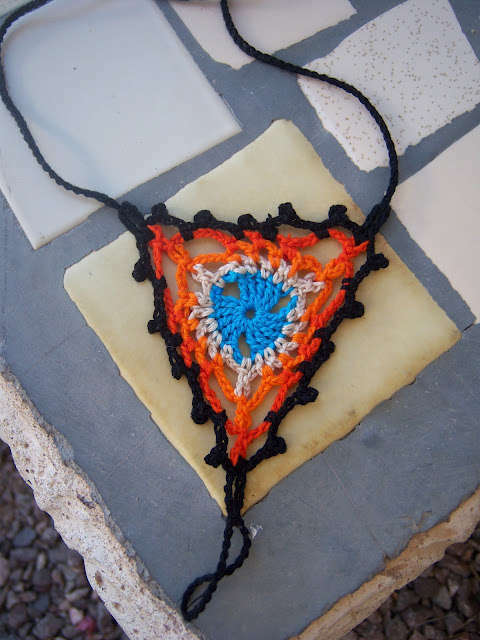 Get started with this free crochet pattern and then advance to some of her other great patterns for sale if you want to try more detailed barefoot sandal designs. 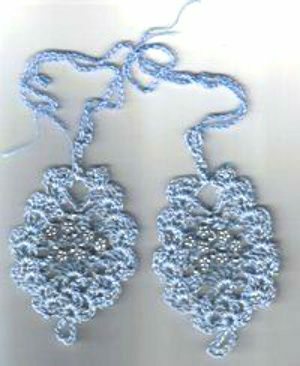 This free crochet pattern by Michele Milligan has beads in the center for some decorative flair. 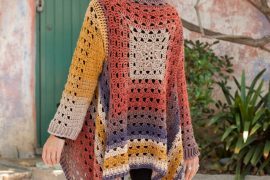 I like the openwork design on this free crochet pattern from Lion Brand Yarn. These bohemian barefoot sandals from Expression Fiber Arts have a great lace-up design. You can see how these floral barefoot sandals look really cute when worn with a pair of heels! This free pattern is from Hook in Mouth Crochet. These barefoot sandals have an open-wide flower design with just a couple of wooden beads for embellishment. 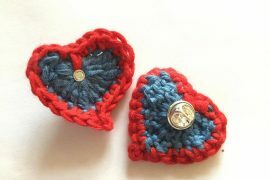 The pattern is available from 365 crochet. I love the color choices that AB Creations used when making these triangle fan barefoot sandals. This free crochet pattern calls for embroidery floss. It’s from Jay’s Boutique Blog. 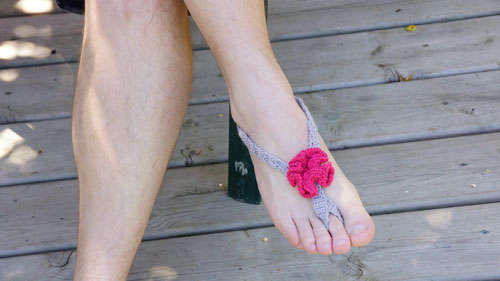 The Crochet Crowd offers this free pattern for barefoot sandals with a pop of color. One of the easiest crochet patterns for barefoot sandals is Kitty’s Barefoot Sandals. How do you wear your barefoot sandals? At home? To the beach? As decoration under heels? The Floral Barefoot Sandals would work for someone with only 9 toenails. No, I won’t be sharing that story in my book! @danidoesdoilies I’m not entirely sure what you mean by they would only work with someone for nine toenails? They have the same basic design as all of the other barefoot sandals. I just finished my first of ur design! I’m working on adding on to ur design to make them intobslave bracelets! 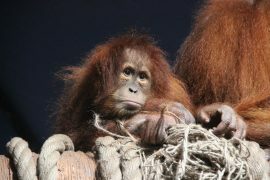 U can email me if ud like to see pics. Pingback: Crochet Slippers Help Blood Circulation? Beautiful creations. Can’t wait to give them a try! I see that this is a dated post but I’m hoping you can answer a couple of questions for me. First, are crochet barefoot sandals able to get wet? I make barefoot sandals / foot jewelry out of several types beads and some of them are sensitive to water so we advise not to get them wet. Second, are the designs that string up the ankle constricting? The Gleeful Things Goddess Sandals design seems that they would be. Your patterns are very nice and I think I may try to make a set. What the crochet sandals are made from determines whether or not they can get wet. As you said, certain details (and even certain types of yarn) can get damaged in water. In contrast, if you make them with a crochet cotton, or even something innovative like neoprene cord, then there’s no problem with getting them wet. In my experience, the sandals are not restricting, but of course everyone has different preferences when it comes to their shoes! Kathryn, Thank you for answering my questions.